LAHORE: Urea stocks hit the lowest level of half a million tons in August, around 12 percent less than the monthly demand, fanning fear of the nutrient shortage for key winter crops in the agriculture country, people with knowledge of the matter said on Monday. This poses a major challenge to the new government that took office a couple of days ago, they said. 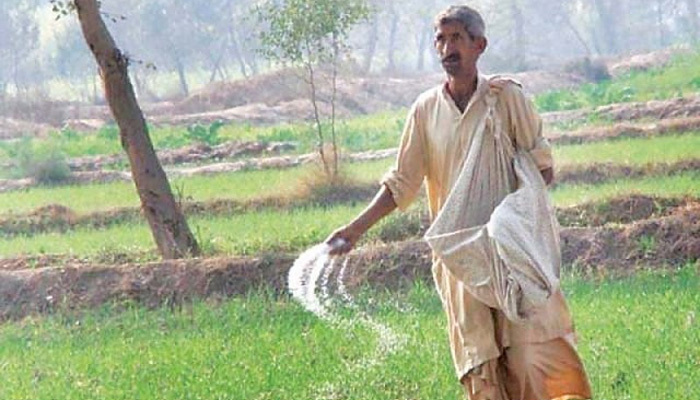 National Fertiliser Development Centre’s (NFDC) data revealed that the opening inventory of urea in August stood at 0.087 million tons, the lowest level in summer 2018. With the local production of 0.46 million tons the total urea availability in August comes in at 0.547 million tons against the off-take of 0.620 million tons, showing a shortfall of 0.073 million tons. Experts said manufacturers should maintain minimum 0.2 to 0.3 million tons of stocks to avert shortage and keep prices of the important agriculture input stable. August has been the first month in the last several years when urea availability saw a steep decline and there was a deficit. The current level of urea availability is not a good sign as far as fertiliser supply in the coming rabi (winter) season, starting from October, is concerned. There will actually be zero carryover stock ahead of winter sowing season this year, which is very rare keeping in view the inventory trend in the recent years. The crucial wheat crop is sown in rabi season and urea application is used to be at the highest level during the period. It is feared that shortage could lead to urea price hike, resulting in a dent to wheat production. An NDFC’s official said urea shortage has become a reality and only solution to this problem is to start providing gas to local urea manufacturing plants as soon as possible. “Otherwise, we will see plummeting production level, leading to its price increase and low supplies,” the official said on the condition of anonymity. An industry insider said the latest official report showed that urea stock, by the end of July, was registered at 0.087 million tons and there was a shortfall in August, “which is very worrisome”. He said urea stocks in the country reached at the five-year lowest level. Citing an estimate, he said, urea inventory with producers presently stand less than 0.08 to 0.09 million tons. The previous lowest inventory of around 0.1 million tons, available with the manufacturers, was in August 2013. The present government is doing little to address urea shortage as it is not encouraging utilisation of available idle plant capacity. Subsequently, dealers and traders are minting money through hoarding and black marketing of fertiliser. Provinces are also not playing their role to push government to increase supply through increased production and merely relying on registering cases against hoarders, which does not address the core issue of shortage, according to analysts. A subcommittee formed under Fertiliser Review Committee by Ministry of Industries, in a report, recommended restoration of closed urea plants, terming it a more economical and viable option than imports. Presently, a decision in this regard is pending with the ministry of industries for final approval. The committee also proposed that 72 percent of re-gasified liquefied natural gas and 28 percent of domestic natural gas must be provided to three closed urea manufacturing plants to bridge supply shortfall in the upcoming rabi season. This cost effective solution will also help in employment generation while saving foreign exchange.